How can an insurance policy store my money? 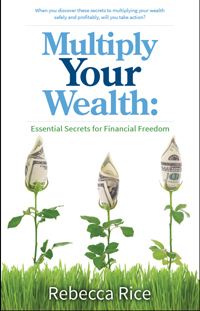 You gain freedom when you have a secure place to store money and to borrow money. A properly constructed insurance policy allows your money to grow in an interest paying “account.” It allows you to borrow the money at a very low rate. You don’t have to fill out loan applications, get credit checks, or explain why you want your money. You are borrowing against the death benefit payout. You have more freedom and control with a life insurance policy than you do with a bank. For more information, click on Services. Will any life insurance policy give me “living benefits”? NO! Unfortunately, there are many agents who tout insurance policies that will not work for “living benefits.” Term insurance has no cash value. Variable insurances offer more risk and fewer guarantees. Universal life policies may have high cost and have high borrowing costs. Most agents are trained to give you the highest amount of life insurance for the lowest cost. With this kind of policy you want the least amount of life insurance while still providing the death benefits you need and the greatest cash value you can get. The goal is to create a reserve of money you can use at will. Most agents don’t understand it. It takes a very specially crafted life insurance policy to give you the benefits you are looking for. Only an experienced agent trained in the "living benefits" of whole life insurance comprehends how to create your best policy and can train you to use it. How can I choose the best agent? Your agent needs several qualifications. 1. They must be thoroughly versed in the “living benefits” you want to use. They need to understand policies, companies and your financial goals. 2. Your agent needs impeccable ethics. It’s easy for agents to give you a policy that will be just okay for you, but give them increased commissions. You want an agent that puts your needs above their financial gain. Ask for referrals or compare the policy with those of another agent. Look at how quickly your cash value increases and how soon you can access your money. 3. Does your agent own “living benefit” whole life insurance policies of their own? If so, you know they understand the system some call “living benefits” of whole life insurance. They will be in a much better position to advise you on the best ways to benefit from the policy. Ask your prospective agent how many policies of their own they have. How soon can I access my money? When your policy is properly set up, you can access your cash value within a week of depositing your first check. Your money is free to use to pay off debt, invest, purchase items for your business, and so on. How can a whole life insurance policy pay for my retirement? Your policy is an ideal place to store or park money that continues to earn interest. It will not go down in value. By building the cash value in your policy, you set up money you can draw on in retirement. With the help of your agent, you can design a policy that will allow you to withdraw a specific amount of money each month for a certain number of years. The insurance company views this as a “loan” and so it is not taxable. It deducts the money from your death benefit, so the company doesn’t care if you never pay it back. The insurance company charges you interest on this loan, but it’s also paying you interest on the money in your account, so there is reduced cost for the loan. Your retirement withdrawals reduce your death benefit. You are, in essence, taking your death benefit while you are still living—and all tax free. How can I develop a “family legacy” using whole life insurance policies? Statistically, by the second or third generation, all inherited money has been squandered. With money secure in “cash value” you set up a system to preserve the wealth while allowing family members access for loans. Through a series of life insurance policies on the younger generation with group ownership, you ensure your legacy will be available to benefit generations. Can you explain some of the tax advantages of whole life insurance policies (sometimes called “living benefits”)? When you withdraw money from your policy, the IRS sees it as a loan and it is not taxable. Thus your retirement can be withdrawn monthly and it will come to you tax free. When you purchase business equipment with loans from your account, the interest earned is a tax write-off for your company, but a “profit” for your account. Some professionals and small business owners learn they can drop their taxable income about 40%. Your inheritance typically passes tax free to heirs. How secure is my money in a whole life insurance policy? Insurance companies are highly regulated by state governments. They are required to keep as liquid assets of 100% of the money needed to fund their death benefits and cash surrender values. (Banks must have under 10% of their assets on hand.) That means insurance companies ALWAYS have all the money needed to pay your cash value and your death benefit. Historically 100% of policyholders have received their full death benefits, even on the rare occasion an insurance company has become insolvent. In that case, other insurance companies and the state step in to make sure the payout is made. There is less than a 1% failure rate of insurance companies over the last 25 years. When your agent works with top companies, your risk of loss is very low—much lower than banks or savings companies. Is whole life insurance and these benefits a scheme, a pyramid or a racket? No. It is a proven process to manage your money. It is encoded in law and 100% legal. Banks, politicians, and the wealthy have been using this system for years to manage and increase their wealth. How long does it take to set up a policy? It may take about two months from start to finish. First, you review with your agent your goals and finances. After you agree on the plan that is best for you, your agent will ask you to apply for life insurance with two or more companies. You’ll fill out the paperwork and submit it. They will ask for medical information and send a professional to your home for any tests needed. Once that information is received and the insurance company calculates the risk, they issue you a rating. Preferred Plus or similar designation gets you the best rates. When you see how each company has rated you, your agent will show you the best way to maximize your goals and which is the preferred insurer for you. The insurance company then sends you a quote and offer. You respond with your payment. Then you are insured, have established your “living benefits” reservoir, and within days can start making withdrawals. Read the first chapter here!